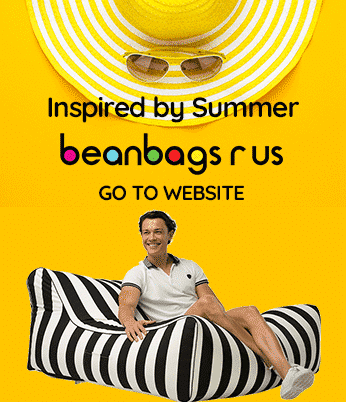 Bean Bags R Us NewsBean Bag FillingWhat alternative bean bag fillers are there? What alternative bean bag fillers are there? You may not be surprised to know that the first bean bags were simple sacks, filled with; you guessed it, beans! Though it took thousands of seeds to fill one bag, that’s how these childhood staples got their name. The beanbags we know and love today no longer use organic materials. Ours use Virgin polystyrene beans and are reinforced to avoid any messy leaks. If you’ve ever had a low-quality bean bag chair spring a leak in your house, you know why that’s important. No good. Organic parents, earth lovers, and people tired of vacuuming are creating or fixing beanbags themselves. Learn what type of DIY bean bag fillers they’re using below. You can buy quilt and pillow stuffing at craft stores, on the cheap and in large amounts. This cottony, spongy fabric is what is in most stuffed animals and throw pillows. It makes a great bean bag seat filler, with a heavenly pillow-top feel. If it starts to get flat, you can fluff the bean bag like a big pillow. Or, throw it down the stairs like my five-year-old swears by for violent fluffing. If you don’t want to spend money at the craft store, figure out what you have around the house. Do your kids have stuffed animals they haven’t looked at in years? Off with their heads! Yes, we mean literally. Cut open old and unloved stuffies and use the insides to stuff your bean bag. You may need to supplement some from the store, depending on the size of your stuffie zoo. You know those plastic grocery sacs you always come home with, even though you’ve spent money on reusable bags? The ones that you never remember to take out of the car? These bags make great DIY bean bag fillers. They’re soft, light, and easily fluffed. If you’re going to use this method, you’ll want to collect bags for some time before what looks like a lot of bags in storage compacts down fast. You can ask friends or family to save some for you or give you what they have around the house. When you have enough bags (there’s not one correct number), ball them up. You want to twist the handle of the bag, so it holds it in a ball-shape, even if it’s not very secure. You don’t need to worry about the balls keeping their shape when they’re inside the bag. With this project, you’ve not only cleaned out your cupboards, but you’re recycling as well! However, recent changes to single-use plastic bags may make this option a little more difficult! There’s a big divide between people who want to use natural materials like pine needles and leaves in bean bags and those who don’t. The ones on the pro-side say it’s nature’s cushioning and is how mattresses of history got their shape. The con-side says that the organic materials will break down, creating a kind of in-bag compost. What do you think? Tell us in the comments at the end of this post! Yes, you can still make a bean bag with beans. No one’s stopping you! If you want to fill a bean bag with beans, we suggest starting at a big-size store. It’ll take quite a few to fill up your comfy seat. If you don’t want to buy pounds of beans, you can combine the beans in with another fill method. Something like grocery bags and beans works well. It’ll give the bag some weight, so it won’t go flying out from underneath you. On the other hand, because the beans weigh more than the different types of filling, they will sink to the bottom of the bag. If you’re determined to fill your bean bag with something you can buy at your local grocery store, then get a massive bag of rice. Your bean bag will be a big version of those little rice heat pillows people make. We wouldn’t recommend stuffing it in the microwave though. You can mix rice and beans (yum!) for a substantial but form-hugging bean bag filling. No, these aren’t natural, and they can be a pain to clean up if your child likes to tear them apart (are we the only ones?) But they make a great bean bag filling. Unless you’re going to the post store to buy a lot of them, this is another one you’ll have to save up. Keep them in a large rubbish sac until you have enough to fill a bean bag. Don’t want to stalk the post for packing-peanut filled boxes? These work particularly well with the plastic-bag filling method. Kids grow out of clothes so fast, and we often can’t donate their clothes quick enough. If you have a towering outgrown pile, ball up each piece and throw it in the bean bag. Warning, these make the bags a little lumpy, but all is well with some fluffing. We recommend this style to people who like to flop down on their beanbags since the clothes won’t go everywhere if the bag busts a seam. Do not use this method if you have kids who like to do giant pillow fights with bean bags. They get heavy, and someone could get seriously hurt. We’re biased, but we think the best bean bags are those that are made by professionals. There’s nothing wrong with fixing something you have, but we wouldn’t go out of our way to save years worth of packing peanuts. We’ve been selling our bags for years and have had minimal complaints. Remember not to dive bomb into a bean bag, unless you know it can handle the force and your weight. If your bean bag breaks, try the above DIY bean bag fillers, otherwise, browse our products and see if fancy strikes you. What Is the Best Filling for My Bean Bags? This entry was posted in Bean Bag Filling.